United Nations Secretary-General Antonio Guterres has rejected an aid request by Venezuela’s self-proclaimed “interim president” Juan Guaidó, stressing that the body only cooperates with the country’s recognized government led by President Nicolas Maduro. Last week, Guaidó published a copy of a letter sent to Guterres requesting UN humanitarian action in Venezuela. The move by Guaidó sparked a political crisis in the country, especially after it was recognized by the United States, which confiscated Venezuelan state assets in America, including a subsidiary of the Venezuelan state oil company, to channel them to Guaidó. 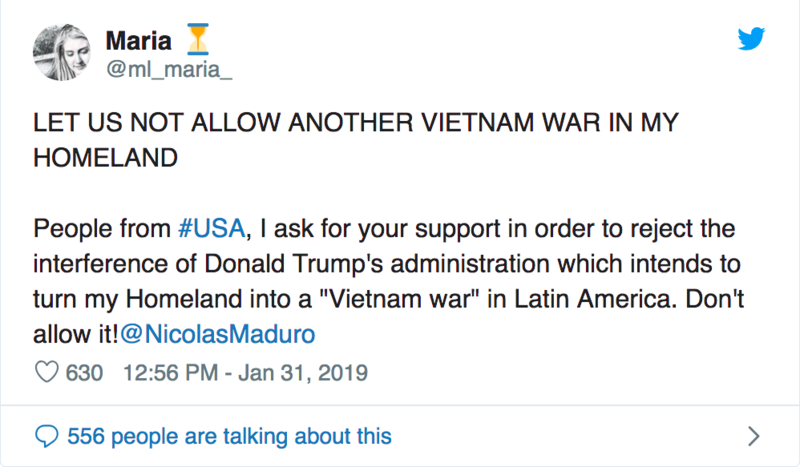 There has also been speculation that the US may be preparing for a military invasion of Venezuela in support of Guaidó. US Vice President Mike Pence echoed Bolton’s remarks, saying that Maduro had to step down. Addressing a gathering of pro-opposition Venezuelans in Miami, Pence said “all options are on the table,” and warned Maduro “not to test the resolve of the United States”. “This is no time for dialogue. This is time for action,” he added. He added that Italy “does not recognize” Guaidó as interim president. Workers of oil industry in Venezuela call on the US to “keep hands off the country’s oil industry” amid deepening crisis.